We are working with Fowey Renewable Energy Enterprise (FREE) to develop and deliver a range of renewable energy projects whilst retaining the financial, environmental and social benefits of the schemes within the local area. 10 potential sites have been identified and investigated for a mix of renewable energy technologies at a range of scales. 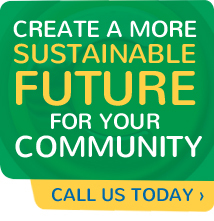 The support we’re providing includes project development and technical advice on suitable renewables, community engagement and planning application support as well as helping FREE to identify suitable finance options. In February 2012 the Local Energy Assessment Fund (LEAF), administered by the Energy Savings Trust, awarded FREE £64,428.26 to develop plans to create community-owned renewable energy resources for Fowey. The funding has enabled a local climate change impact study to be carried out to show how global warming will affect Fowey in the future. The money will also fund legal work, improvements to FREE’s website and other projects to push forward the group’s plans. For further details about FREE’s plans and the latest project updates visit FREE’s website.